It's all hands on deck for the war effort in this cinematic commercial. Survive Afghanistan. Die in Amersham. 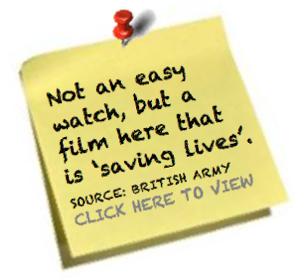 Hard-hitting army film, challenging invincible troops. Recruitment documentary lifting the lid on the myths of working for Goldman Sachs. GARY AND GAIL HAS WON! Not prize money, but distribution on mobile phones in Canada! Gary and Gail has been selected from hundreds of entries as one of ten finalists in the SHORTSNONSTOP competition, run by Canada's Worldwide Short Film Festival. The finalists are selected for promotion and distribution by TELUS on its mobile networks in Canada. For more, click HERE.